As with most social media platforms, Instagram can be a double-edged sword. On one hand, it's a great way to share and express yourself — but on the other, it can be just as effective at compromising your privacy and security. Thankfully, there are a few things you can do to protect yourself. As with all things regarding cybersecurity, no plan is foolproof. So be aware that even if you implement these tips, you are still at risk of having your personal data fall into the wrong hands. However, by adjusting these settings in the Instagram app for Android or iPhone, you will dramatically lower your risks. One of the easiest things you can do to improve your defenses is to enable two-factor authentication (2FA). This will require that you add your phone number to your account (if you created your account with just your email or Facebook credentials), but will add an additional layer to your security. With two-factor authentication, you'll need both your password and a one-time passcode (OTP) to log into your Instagram account. This OTP is sent to your phone when you're trying to log in. In principle, hackers will be prevented from accessing your account unless they also have physical access to your phone. 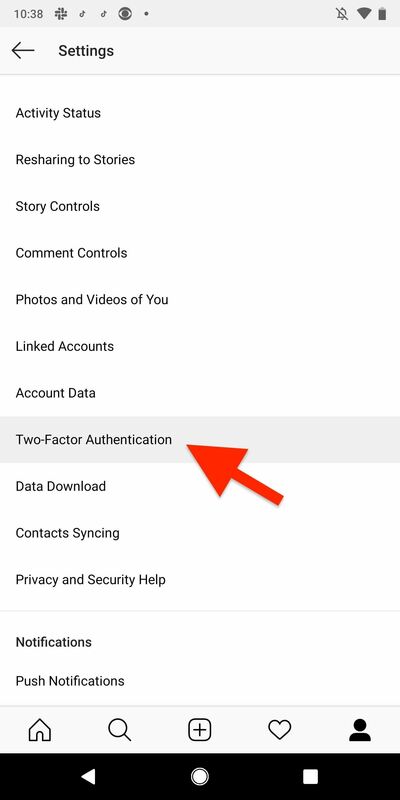 To enable 2FA, head to the profile tab in the Instagram app, tap the menu button (three lines) in the top right, and select "Settings" on the bottom. Then, choose "Privacy and Security," and select "Two-Factor Authentication." Tap on the "Get Started" button (if you see it), then turn on the switch next to "Text Message." A code will be sent to your phone number through text message, which you then need to input. Once that's done, 2FA is enabled on your account. You can also choose to enable the "Authentication App" option, which is actually a more secure method of two-factor authentication. Check out our roundup of the best two-factor authentication apps to learn more and see which ones are worth using on your iPhone or Android phone. 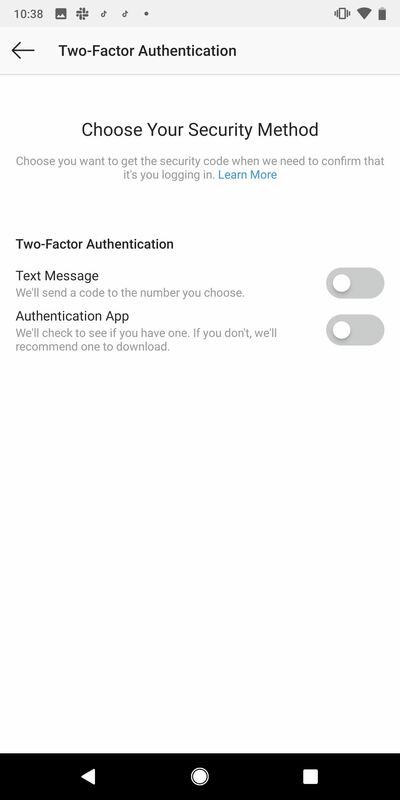 Two-factor authentication requires you to have access to your either your SMS texts or your smartphone's authentication app, depending on what you chose, but what happens if you've recently changed phone numbers or don't have your smartphone on you? You can use recovery codes as a backup, as long as you thought ahead and saved them somewhere such as a password manager that you can still access. To access the codes from your account, visit your "Two-Factor Authentication" settings on Instagram, then choose "Recovery Codes." Screenshot them (which could be backed up online), copy them to a password manager (like LastPass), or even jot them down on a piece of paper you keep in your wallet. However you choose to secure the codes, there will be five total, and each code can only be used once. When you've used up all the recovery codes, you can request a new set. Besides the OTP, authentication app, or recovery codes, your password is the main gatekeeper that prevents access to your account. Unfortunately, so many users are protecting their account with a password that is easy to memorize, which has the unintended consequence of being an easier password to hack, unfortunately. Instead of relying on a memorized password, use a password manager to create one for you. Unlike something you create, the password manager is guaranteed to be as strong as needed since you can control the criteria it needs to abide by. Additionally, you can change your password easily (we recommend every 90 days) to ensure hackers don't have much time to guess your password. Whether you are using iOS or Android, we recommend using LastPass Password Manager. Its low cost combined with a vast feature list is unmatched by any other manager in either app store. Check out our full rundown of why LastPass is the best, then try it out to help secure your Instagram account. Most camera apps will tag your photos with coordinates that show where they were taken, and Instagram is no different. It's a great way to recall previous adventures at specific locations, but with this metadata attached to your photos, unwanted individuals can easily learn your location. It should be noted that Instagram strips all EXIF data from images you upload, so if you took the photo with your stock camera app or a different third-party camera, it won't automatically send out its geolocation data to all of your followers. However, Instagram does read the geolocation data so that if you'd like to "Add Location" before sharing, it'll help you find the appropriate place without hunting too hard. To keep your current location out of other Instagram users' hands, just don't add a location on the final step before tapping "Share." If you must, only add locations that won't aid someone in tracking your current location or your daily routes, such as vacation spots from weeks ago. 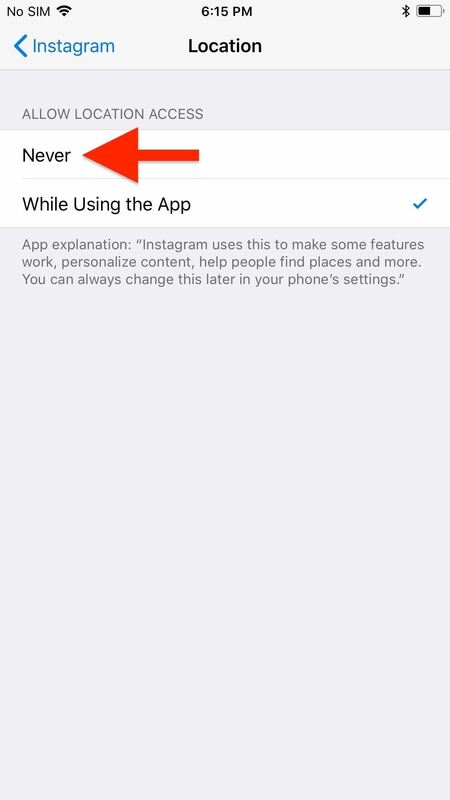 If you don't want Instagram reading your geolocation, or if you don't want Instagram to record your location when taking a photo inside the app, you can turn off geotagging for Instagram and each of the camera apps that you use. 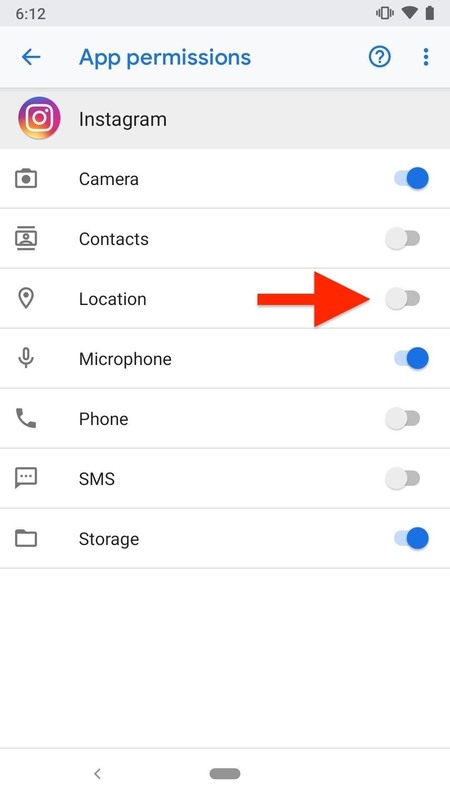 For stock Android, you can disable "Location" app permissions in the Settings app, but this may differ on non-stock Android. For iOS devices, locate the camera app's "Location" permissions in Settings, and disable it. Your presence on Instagram goes beyond the pictures you personally upload. If anyone else takes a picture of you and tags you in it, that photo will also show on your page, regardless of if you wanted it there. Fortunately, you can change that by requiring approval before it's added to your profile. 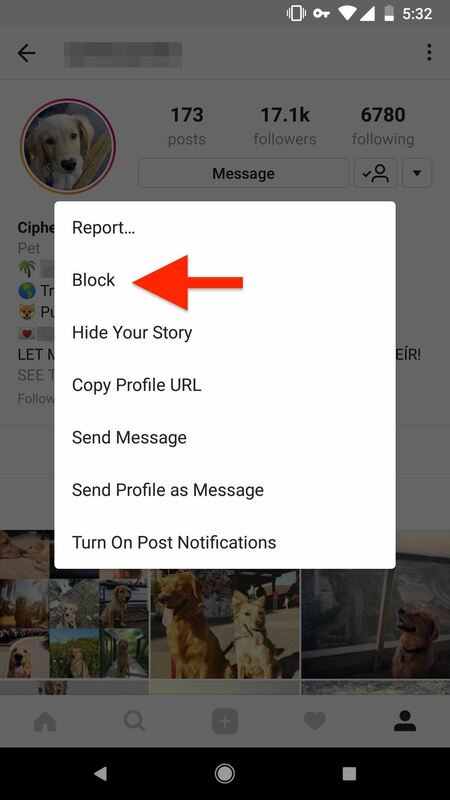 Go to your profile tab in Instagram, tap the menu icon, then "Settings." Next, select or find "Privacy and Security," then choose "Photos and Videos of You." Toggle off "Add Automatically" so that each post you're tagged in will require that you manually approve it before it's added to your profile. You can also tap on "Hide Photos and Videos" to hide any posts that you've already been tagged in. 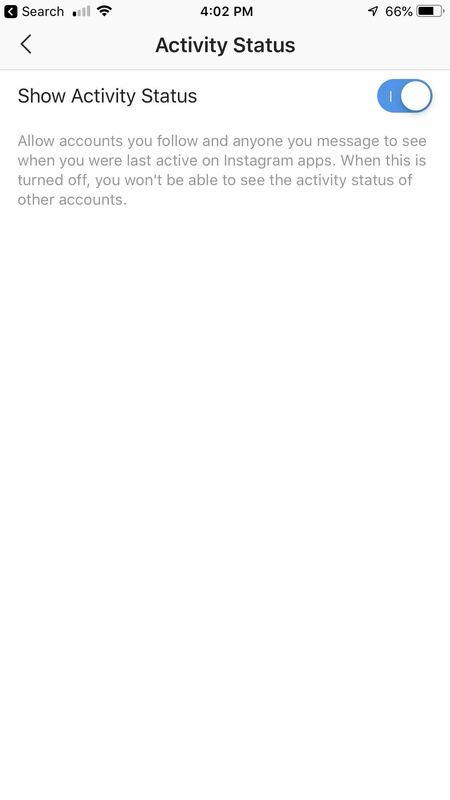 At the start of 2018, Instagram added an "Activity Status" feature that shared with other users if you're online or when you were online last. Later that year, they added a green dot to help location users that are currently active. Activity Status exists in your direct messages and friends list (when you share a post as a direct message), and while it's useful to see when your friends are online, you may not want others to know when you're active. To disable this, open the menu from your profile, select "Settings," then find or choose "Privacy and Security." Next, select "Activity Status," and toggle off "Show Activity Status." Your friends and family will no longer be able to see your activity status, and you also won't be able to see theirs (even if they have it enabled). 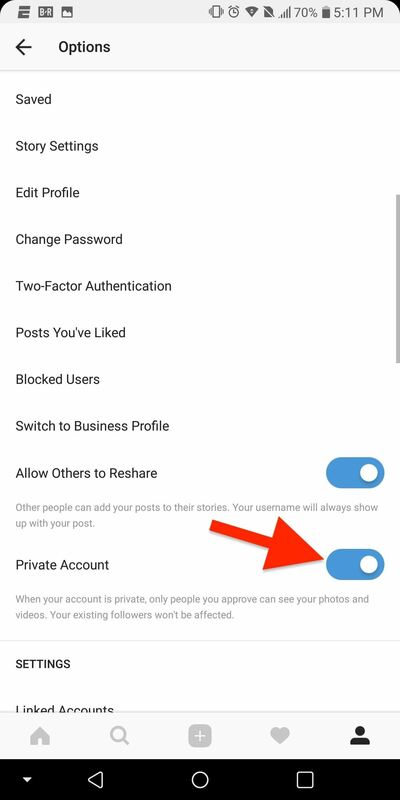 Many of Instagram's features are automatically enabled when they're newly introduced, and that includes the ability for other users to share your photo and video posts to their Stories. 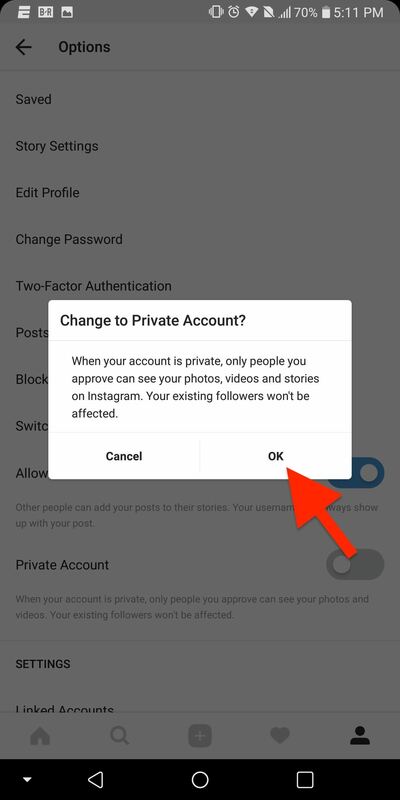 Making your Instagram account private disables this feature, but you'll have to manually disable it if you enjoy the public life. Open up the in-app settings, then select "Resharing to Stories" settings under the "Privacy and Security" umbrella. Toggle off "Allow Resharing to Stories," and other users will no longer be able to share your posts to their Stories. 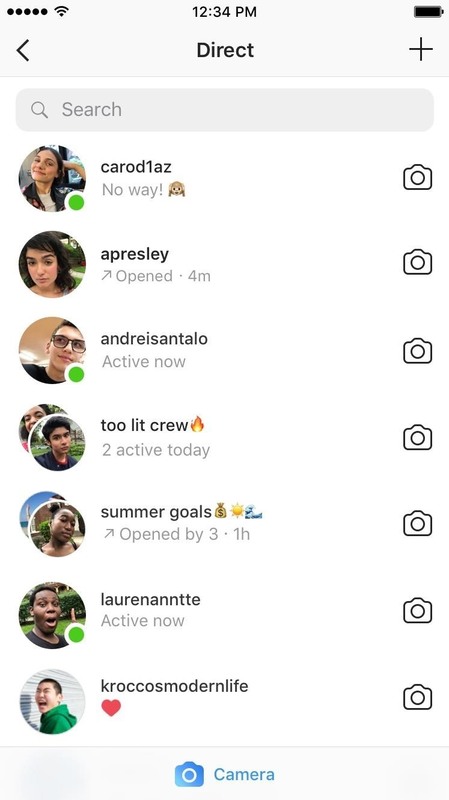 Another Instagram Stories feature that's automatically enabled is letting others share your stories through Direct Messages. This means anyone that can view your stories can also share it through DMs to anyone else (if your profile is public) or your just followers (if you're private). If you want to stop others from sharing your stories, you can disable the feature pretty easily by going to the "Story Controls" option under the "Privacy and Security" section in the in-app settings. Toggle off "Allow Sharing," and people will no longer be able to share your story as a message. Instagram keeps a record of important account activity, such as a new password, a different email, and any logins/logouts. If any changes have been made without your knowledge, this is where you can find out. To access your past activity, go to your in-app settings and select "Access Data" under the "Privacy and Security" results. You can view account privacy changes, password changes, logins, logouts, search history, and more. If you notice logins that don't make sense or other unusual activity, your best bet is to change your password immediately. If you let someone else browse through your account, they could view your recent search history with just a few taps. Fortunately, you can just as easily clear it, wiping away all those embarrassing "cat" searches. still see accounts you've searched for under Suggested on the search page. You can individually remove those accounts by tapping on the "X" to the right of the profile picture on the search page. Comments can quickly spiral out of control if you post something controversial, especially if your account is public. Trolls may come out in droves to leave nasty and offensive remarks on your photos and videos, but you can take action by controlling who can comment and what they can write. From the in-app settings, go to "Comment Controls" in the "Privacy and Security" section. Here you can manage who can comment on your posts (everyone, people you follow, your followers, or the latter two combined), block comments from certain users, and enable filters to hide offensive comments. Instagram uses artificial intelligence to block comments it considers offensive. You can also add your own words or phrases to manually filter out comments. There's also a filter to hide comments that contain words that are commonly reported on your posts. If you've ever used a third-party app to monitor who unfollowed you or share your photos on a dating platform, you may also have inadvertently provided those services with more access to your Instagram account than you may be comfortable with. Although not all third-party apps do this, they do have the potential to like photos, comment to posts, and upload to your account — all without you knowing. Even if you stop using the third-party apps and services, they can still access your account, so it's important to find these "authorized" apps and revoke their permissions. You can't do this from your Instagram app, so it needs to be done in your mobile browser of choice. You share your information, such as your phone number and social media, because you want to connect with people, but sometimes you may be giving up more than you originally thought. 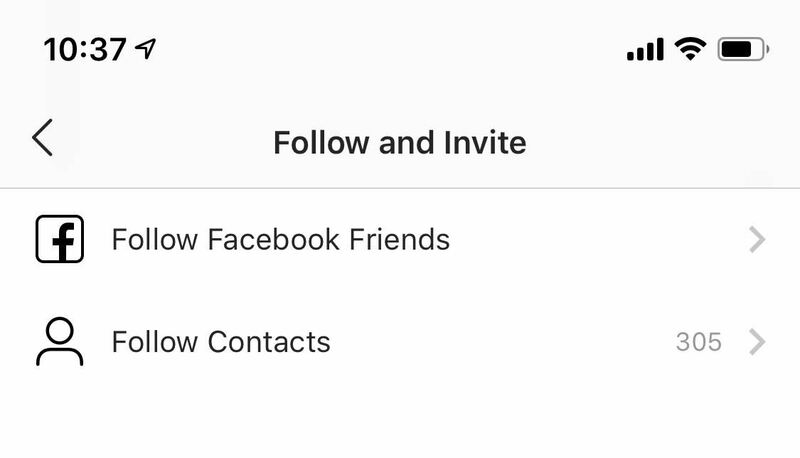 Did you know that anyone with your number saved in their contacts or who has added you on Facebook can easily find your Instagram account? All it takes is for them to check out their Find Friends or Follow Facebook Friends page on Instagram and your account is sure to pop up — unless you do something about it. If you remove your phone number and unlink your Facebook from Instagram, users with your account info will have a harder time finding you. For maximum privacy, your account can't be public. 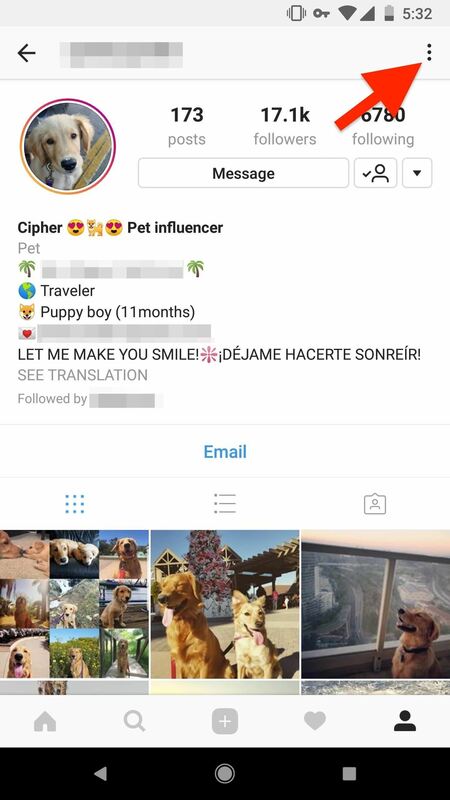 Any public account can be accessed by anyone, which can lead to your photos and videos being copied by catfishers and other malicious individuals. However, privacy does come at a cost. For example, for those creating brand awareness, anything that hinders individuals from discovering you will hurt your progress. For that reason, this tip is optional based on your needs. If you are an average Joe who uses the platform to connect with friends, go into your in-app settings, tap on "Account Privacy" in the "Privacy and Security" section, and turn on the toggle next to "Private Account." Once enabled, only those who you approve can see your content. Your current followers will not be affected by your decision. You don't need to delete your account to hide it from the world. Instead of permanently erasing your profile, just temporarily disable it. You can't disable your account from the Instagram application, so you must use a mobile web browser. Log in to the account settings, scroll down, and tap on "Temporarily disable my account." Once your account is disabled, it'll look like it's deleted. When you search for it, it will say that the page isn't available or that the account is not found. To reactivate your account, just log back in online or in the mobile app. Besides technological solutions, there are a few personal choices you can make to protect your private information when Instagramming on your phone. First, remember that whatever you post (even with a private account) is accessible by other people. Don't post pictures that you might regret later on in life — particularly ones you might be ashamed of later or pictures that reveal personal information. Always remember, anything that can be used against you will be used against you. Second, be aware that your profile doesn't need to be completely filled out. Don't reveal to others information that isn't needed. Despite whatever trust you may have with your followers, it only takes one person to make a decision that can impact your life. Finally, use the block user feature. While in your "Followers" list, tap any user who you don't know or is toxic and select the ellipsis (•••). In the pop-up, choose "Block" to disable access to your account. With these tips, you'll make the double-edged sword of Instagram a little less sharp. While the risk isn't averted, it is dramatically hampered.